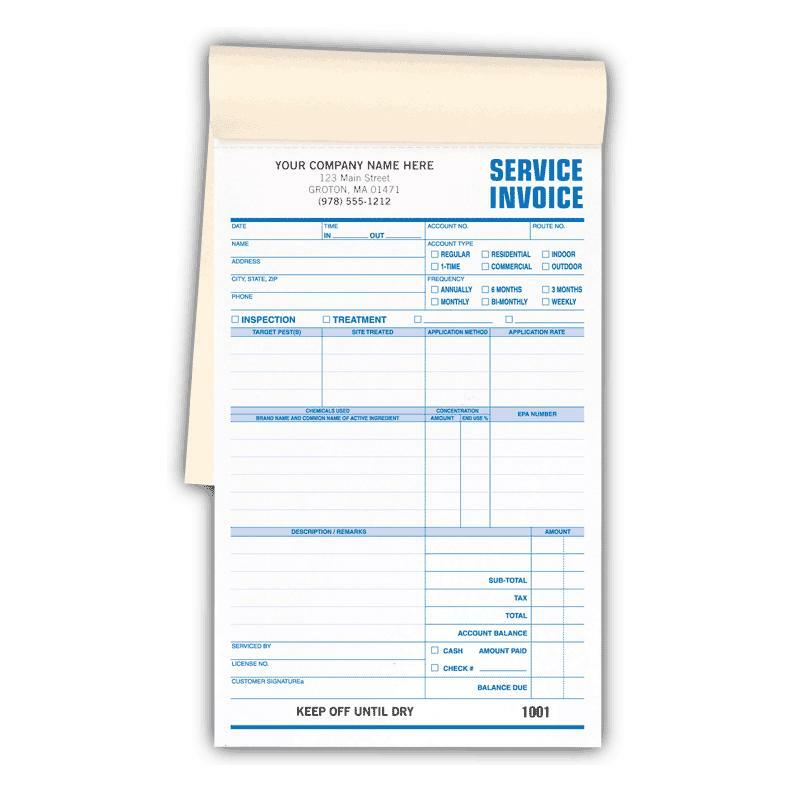 We offer very competitive prices on pest control invoice printing. 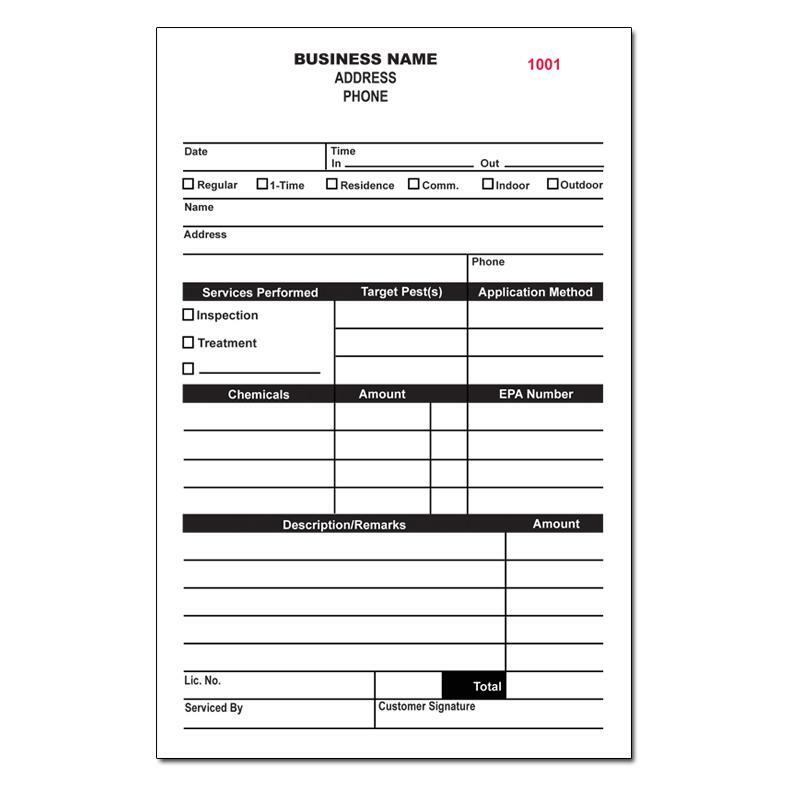 This form was specifically designed for your business and has the necessary field that will guide you along as you complete it. 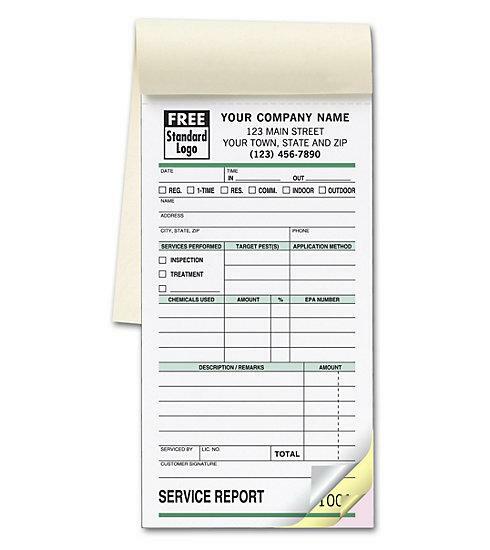 You will save a lot of time as you complete the preprinted sections like customer contact information, description of work, materials used, labor cost etc. It has all the features for termite control and extermination. It’s printed using 20lb carbonless NCR paper. 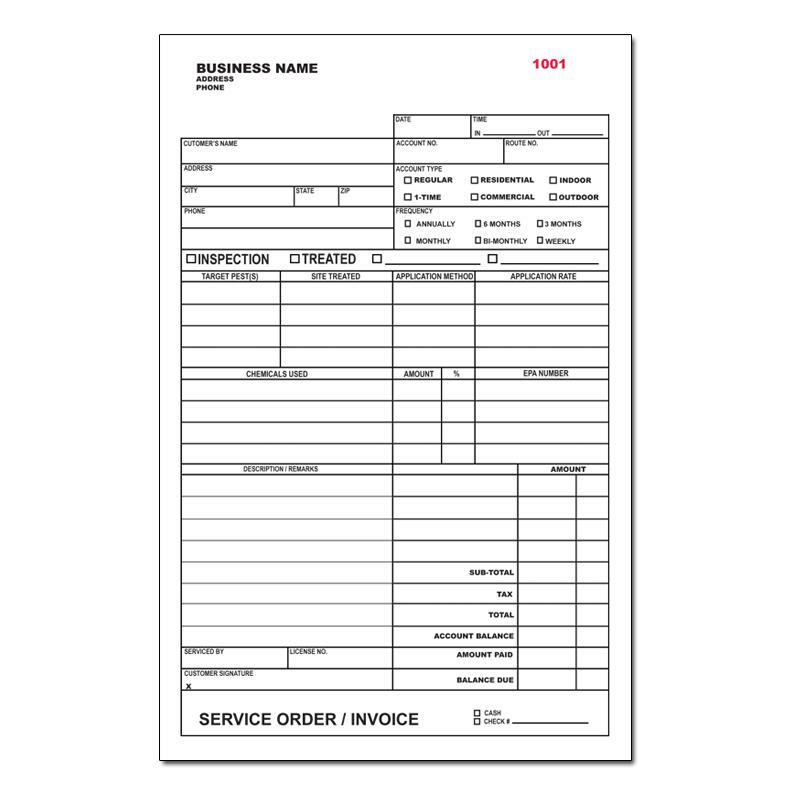 Easily personalize this invoice by adding your company logo, name, address etc. We can also change sections of the form or you can email a whole different design. We would be happy to be your printing company.